The Office of the Chief Financial Officer (OCFO), which is independent from the Office of the Mayor and the City Council, has direct control over the day-to-day financial operations of each agency of the District. Furthermore, the OCFO has primary responsibility for oversight of the District's budgetary and financial records, activities and transactions, including the supervision and administration of all borrowing programs of the District for the issuance of long-term and short-term indebtedness (excluding industrial revenue bonds). 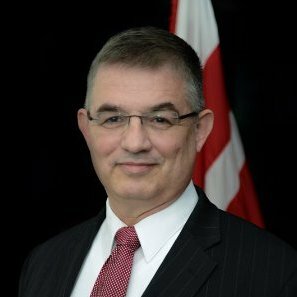 Jeffrey S. DeWitt is the Chief Financial Officer (CFO) for the District of Columbia and is responsible for the District’s finances, including its approximately $13 billion budget, the majority of which ($8 billion) is generated from local revenue sources. He also manages the city’s $6.5 billion capital improvement plan budget. Mr. DeWitt was appointed to this position by Mayor Vincent C. Gray and confirmed by the City Council to complete the five-year term of the former CFO, Natwar M. Gandhi’s, through June 30, 2017. As the independent CFO, Mr. DeWitt manages the District’s financial operations, which include more than 1,000 staff members in tax and revenue administration; the treasury, comptroller and budget offices; economic/fiscal analysis and revenue estimation functions; all District agency financial operations; and the DC Lottery. He is also responsible for coordinating with congressional committees and the US Office of Management and Budget staff that oversee District affairs. He regularly interacts with the financial community, including rating agencies, regarding the District’s financial matters. 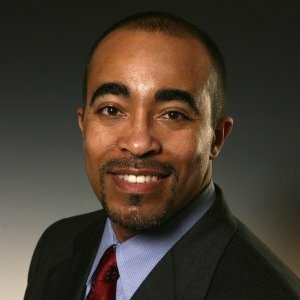 As CFO for the District of Columbia, Mr. DeWitt sits on the boards of the Washington Convention and Sports Authority (EventsDC) and Destination DC. Jeffrey DeWitt is a member of the Government Financial Officers Association (GFOA), the American Accounting Association (AAA), Association of Government Accountants (AGA), and the American Water Works Association (AWWA). Deputy Chief Financial Officer and Treasurer Bruno Fernandes was appointed to his position in August 2018. As Treasurer and Deputy CFO, he manages the District’s treasury programs associated with its annual operating and capital budget. This includes management of the District’s banking and investment activities, check and electronic receipts and disbursements, and its debt issuance and repayment activities. He also oversees the District's 401(a) and 457(b) retirement plans, 529 college savings plan, and the Unclaimed Property program. Previously, Mr. Fernandes was the vice president and treasurer of ICF. Prior to joining ICF, he led the global treasury operations of Computer Sciences Corporation (CSC). Before joining CSC, he held treasury and risk-management leadership roles at Intelsat and Sunrise Senior Living. Mr. Fernandes’ 25 years of finance and treasury leadership experience also includes serving on the boards of several organizations. Mr. Fernandes represents the District of Columbia as a member of the National Association of State Treasurers and the Government Finance Officers Association. He is also an ex-officio trustee of the DC Retirement Board. Mr. Fernandes holds a master’s degree from the University of Maryland and a bachelor’s degree in finance from George Mason University. He maintains a Certified Treasury Professional designation and is an active member of the Association for Financial Professionals. As the Associate Treasurer of Debt and Grants in the Office of Finance and Treasury for the District of Columbia, Carmen Pigler manages all aspects of the District’s $9 billion debt portfolio and provides thought leadership in all bond finance matters. She is also responsible for the administration of federal grant funds, tracking expenditures in all grant-funded programs, and providing regular assessments of grant funds. Prior to joining the District, Ms. Pigler worked in debt management and treasury roles for New York City and Atlanta, Georgia where she was involved in the issuance of more than $40 billion of debt, coordinated investor outreach, and directed cash management strategies. Ms. Pigler began her career in municipal finance as an investment banker where she served as senior relations manager to issuers in Georgia, Alabama, Tennessee, New York and Connecticut. Ms. Pigler holds a B.A. in Economics from South Carolina State University and a Master of Business Administration from Columbia University Graduate School of Business. Darryl Street is the Senior Financial Policy Advisor to the District of Columbia’s Chief Financial Officer, Jeffrey S. DeWitt, since February 2015. Mr. Street provides advice on a wide array of financial issues, including debt structuring and refinancing opportunities. He is responsible for calculating and managing the District's debt capacity model to ensure that the District stays within its federally and locally mandated debt limits. Mr. Street also leads the OCFO's team responsible for the development of a long-range capital financial plan to address the infrastructure financing challenges of the District of Columbia. He is responsible for instituting direct outreach to institutional investors in the debt of the District of Columbia by organizing investor conferences and the development of an investor relations website. He serves as a financial liaison from the Office of the Chief Financial Officer to the Washington Convention and Sports Authority (WCSA) and other select governmental agencies performing various financial analyses for those entities. Mr. Street serves as part of the OCFO executive team for issues related to the financial challenges of the Washington Metropolitan Area Transit Authority (WMATA), and also serves as liaison to the Mayor's Office of Public Private Partnerships in evaluating financing opportunities for various P3 proposals and their impact on the District's debt limit. Mr. Street is a former vice president of a financial advisory firm located in Irvine, California. While at that firm, he advised on more than $12 billion in debt issuances for state and local governments, including the state of California and the city of Los Angeles. Prior to working as a financial advisor, he served in a variety of positions within public finance, including as an investment banker, a guaranteed investment contracts provider, as well as working for the city of Los Angeles in the debt management group within the Office of the City Administrative Officer. Mr. Street holds a Master's degree in finance and a Bachelor’s degree in business management from Loyola Marymount University, Los Angeles. He is also a member of the Government Finance Officers Association and the Association of Public Finance Professionals for the District of Columbia, Maryland and Virginia.